Shopping online is becoming the most common method for obtaining products at a reasonable price. A significant number of people may simply find ordering items online is more convenient. 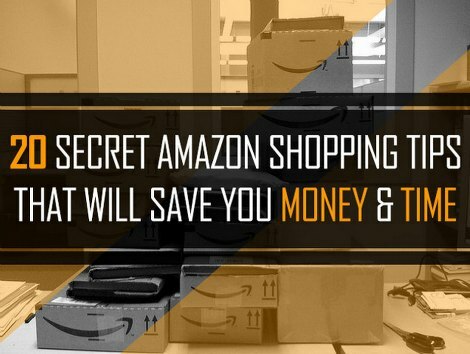 One thing that is important to know is how to save money when shopping at sites like Amazon. There are many tips to use that will save you both money and time. The main thing to remember when shopping on Amazon is finding the best deal. This will mean looking at various items to see which one has the better price. However, you should know items can be purchased as new, used, and refurbished. Many people who use Amazon to buy various electronics might not know a lot of items that are refurbished will be a better option. The reason is once a box for a product it opened, then it cannot be sold as new. There are many things shoppers may not realize is possible when shopping on Amazon. You may have the option to take advantage of various programs and deals if you know where to look. A few places that offer significant savings include Amazon Warehouse, Amazon Outlet and Amazon Prime. One of the best ways to pay for items on Amazon is to use a credit card. If you have a credit card that has a cash back award, then use it to pay for anything that you order. Another option is to apply the cash back on your credit card to lower the price for your entire order. The options you use when shopping on Amazon depend on preference and need. You typically can save on shipping costs if you order enough to qualify or subscribe to Amazon Prime. Coupon codes can be applied too that will lower the amount of your order.